Altuglas International is a subsidiary of the Arkema group. Altuglas International is heavily involved in the field of engineered plastic – from MMA Monomer to PMMA Acrylic Glass – Altuglas International designs and manufactures highly innovative products tailored to the specific needs of its global customers. Its 1300 committed employees contribute daily to the success of its three areas of business (MMA, Acrylic Sheets and PMMA resins). Its 3 large professional brands set the standard for the European market: Altuglas®, Oroglas®, Solarkote®. 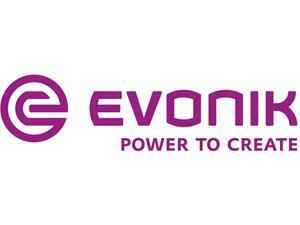 Evonik, the creative industrial group from Germany, is one of the world leaders in specialty chemicals. Profitable growth and a sustained increase in the value of the company form the heart of Evonik’s corporate strategy. Evonik benefits specifically from its innovative prowess and integrated technology platforms. Evonik is active in over 100 countries around the world with more than 35,000 employees. The Performance Materials Segment with roughly 4,400 employees is managed by Evonik Performance Materials GmbH. The segment focuses its global activities on developing and manufacturing polymer materials and intermediates, especially for use in agriculture and in the rubber and plastics industry. The Business Lines Methacrylates with their molding compounds and Acrylic Products with sheet products are parts of the Evonik Segment Performance Materials and belong to the world’s leading suppliers of PMMA products Evonik is a worldwide manufacturer of PMMA products sold under the PLEXIGLAS® trademark on the European, Asian, African and Australian continents and under the ACRYLITE® trademark in the Americas. Lucite International is a global company that focuses on the design, development and manufacture of acrylic-based products. With manufacturing, sales and distribution capabilities across EAME, The Americas and Asia Pacific, we are the energy and driving force behind some of the world’s best known branded acrylic products Lucite®, Perspex®, Diakon®, Elvacite®, Coracryl® and TufCoat®. Lucite International has one of the most diverse asset portfolios of any major acrylics producer with 22 plants at 14 manufacturing sites worldwide, with over 2000 Lucite International people serving customers in more than 100 countries worldwide. Our supply of acrylic-based products helps customers succeed in a wide variety of domestic and industrial application areas. As the markets for these applications grow and new ones emerge, we will both respond to demand and lead with new, sustainable, solutions-based ideas. The Plazit Polygal Group is one of the leading international specialist manufacturers of thermoplastic sheets for various applications. The production facilities are located in Israel, USA, Chile, Bulgaria, Russia and Spain, enabling our clients to source our products close to their locations around the globe. 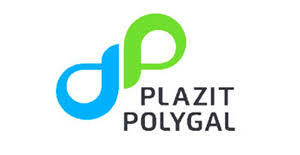 Plazit and Polygal merged their operations in 2011, and the Plazit Polygal Group continues to develop its products, production facilities, human resources and market presence. We are committed to meeting the needs of our customers and guaranteeing high quality, flexibility and swift response – these commitments are the key to all our activities. Plazit Polygal Group in-house experts provide technical support and continuous product development to meet the evolving needs of our global client base. Polycasa is one of the leading manufacturers of transparent plastic sheet material in Europe. The product portfolio comprises a wide choice of sheet material, made of a variety of materials: cast and extruded acrylic glass (known as CRYLUX™, CRYLON® and AKRYLON®), acrylic granulate, polycarbonate, polyester, SAN and polystyrene. The products are manufactured at six locations across Europe. Since April 2015, Polycasa belongs to 3A Composites, an internationally active division of Schweiter Technologies (Horgen, Switzerland). As a result of the merger, the company has a strong market position as a diverse and leading manufacturer of materials for display, building and industrial applications. 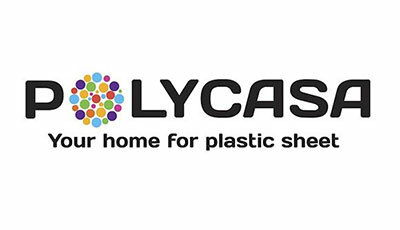 Due to its many years of experience, Polycasa has built up a tremendous expertise in the production of plastic sheets and offers its customers the best selection of materials, thicknesses, sizes, colours, patterns, coatings and light transmissions for a variety of different application areas. As a specialist in plastic sheet products, Polycasa responds to the needs of the market by continually enhancing its product range and developing new products to meet identified customer needs.